Although it was only a side event today, the Gunk Haus test kitchen is still cooking. 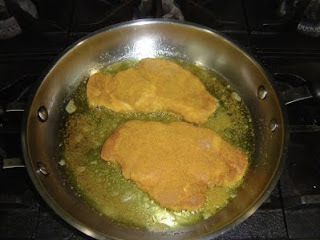 On today's menu: Schnitzel! Of course there was work going on as well today, but who wants to know about that. Oh, you do?! Well, it was trim work, again. Still interested? No? Thought so.